I never in a million years thought I would be selling personalized baby wear on Etsy. My shop has been up and running for a total of four months now and I am currently on target to reach over $1,000 in revenue this month. I still am in shock and cannot believe it. I started this month out with the goal to sell something each day and have already surpassed it. You can be successful on Etsy with hard work and determination. I wanted to share a few things I have learned along the way to encourage anyone considering opening a shop. 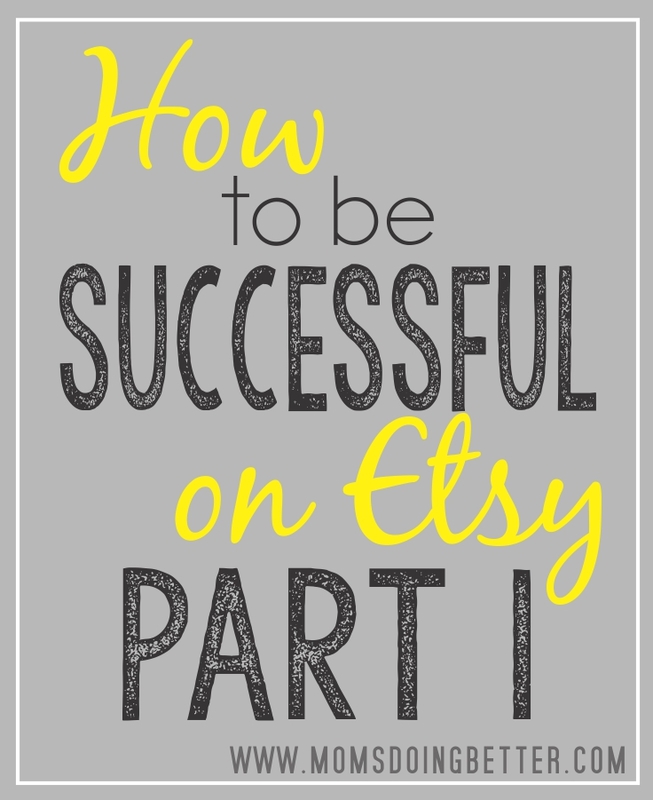 The first part of this series will focus on the beginning stages of your Etsy shop. 1. Is There a Demand? Is there a market for what you want to sell? You can have the best product or idea, but if there is not a demand you won’t have sales. What are people always buying? Can you match a talent or skill you have with a demand? Do your research before you invest in a market that is not profitable. A lot of hard work and money go into starting a new business as I have learned the hard way many times. When you do find a good market to enter into, make sure that is it also in something that you love to do. My market, personalized baby items, is huge and always in demand. People are always having babies and there are always holidays that require cute outfits. Now that you know what you are going to sell, you need to learn about your customers. This is something that I honestly should spend more time on. You want to know who is going to be buying your items and what they like. You can use Pinterest, Instagram, Facebook, Google, or talk to your friends and family to learn about your market. The past few months I have seen trends in my shop. I try to offer more selections of the products that I know are selling and spend less time on the ones that are not. Holidays and seasons happen the same time every year and those are areas of your target market that you can predict. You will benefit greatly from planning ahead to have your shop stocked for whatever holiday or season is coming next. It is important to know who is doing well in the market you want to get into. This will help you see what is selling well in that specific market, but it will also help you identify any gaps that you can capitalize on. You want to stand out from your competitors, not copy them. You can stand out by offering fast shipping, excellent customer service, or using professional packing to create an experience. There are a ton of ways to make your shop different. Take the time to put the research into these three beginning stages of starting your Etsy shop and you will be on your way to being successful! If you have any questions about starting your Etsy page or on one you already started feel free to contact me through this blog!